WWE has had a banner year financially. 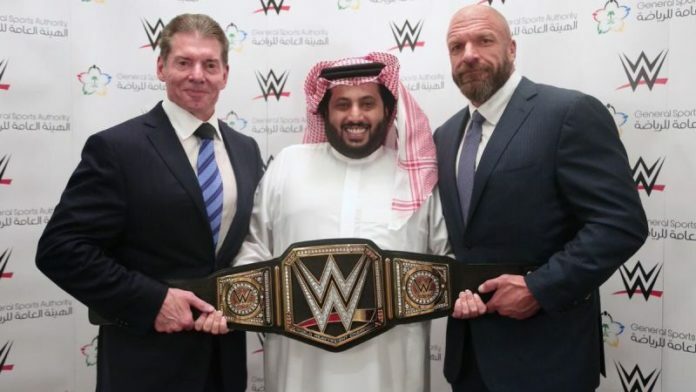 With the added revenue from the Saudi deal and pending new television contracts, WWE has money to invest. It has previously been reported that WWE wants to invest in international Performance Centers and territories. According to a recent report from the Wrestling Observer Newsletter, Saudi Arabia is a country WWE is hoping to open a Performance Center in. Triple H is seen as a driving force behind WWE’s global expansion. Earlier this year, HHH used the term “Global Localization” to describe their plans. Triple H continued to describe what this will mean. WWE will hold two nights of tapings for the new NXT UK brand later this week.